I have a confession. Last week I had over 1000 unread emails in my inbox. None were personal and important; they were newsletters and ads. I go through phases where my inbox will be clean and then a few will pile up and I just let my inbox go, resulting in some awful number of unread messages. In an effort to simplify and organize to get ready for way less time on my hands (that’s obviously the theme this week), I set out to cleanse my inbox and stop unwanted mail. Enter Unroll.Me. With your permission this free service will dive into your email account and report back with a list of emails you’re subscribed to. I bet you’ll be surprised at just how large that number is. You can then choose which emails to unsubscribe from and if you want one daily digest that Unroll.Me bundles up for you. While my husband opted in to the Rollup and really likes that feature, I used the service to quickly and easily unsubscribe from a bunch of emails at once. I know the Rollup would fit into my “I don’t have time now but I promise to read it later” mentality and cause a 1000 email backup again. Whichever way you use it, it’s a super helpful service! The other mailbox is your physical one. We actually receive more junk addressed to previous tenants or mail labeled “to current tenant”. I don’t want to sort my own junk mail, let alone someone else’s. Physical mail seems harder to deal with, but is almost more important because of the paper it wastes. PaperKarma is another free service in the form of an app. Use your phone’s camera to submit a picture of the junk mail and PaperKarma will remove you from the sender’s mailing list. Being green has never been so easy! What’s the worst your inbox has ever been? Does it make you just want to create a new email address and abandon your current one? I did not know about these services. 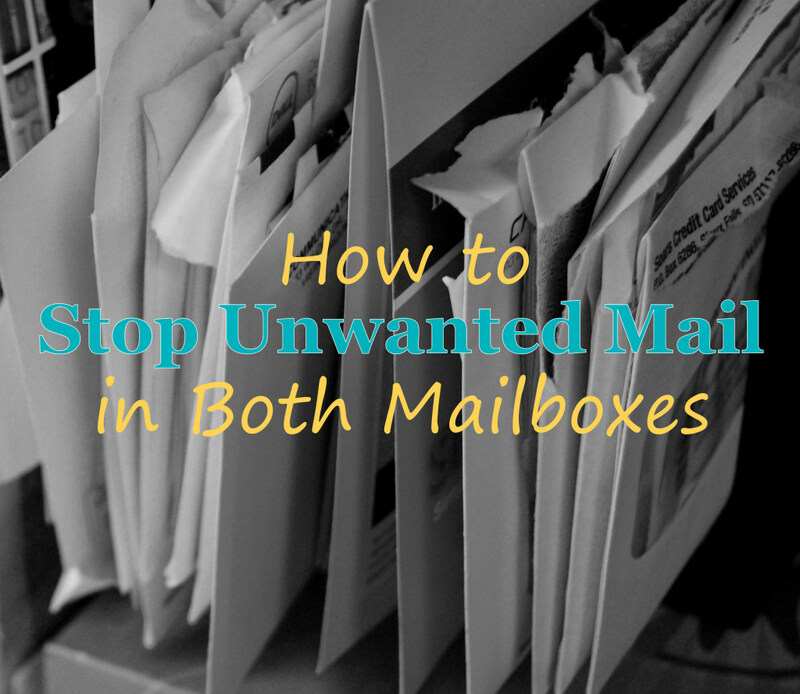 What a great way to clean up my mail boxes and save time. Thanks! It won’t clear out your current ones, but it’s fantastic for maintaining a simpler inbox in the future. Thanks Natalie. I’d like to use this service. I really hate receiving so many emails to which I happen to subscribe and ticking each email for them to be deleted. Hassle and taking so much time! I like the paperkarma. Me too, and I’m horrible about deleting in big batches without at least looking over. I just can’t do a mass delete. I’m afraid there might actually be something I wanted to read. My eyes got really, really big when I saw how many unread emails you had. I will be using this site ASAP! Thanks for the information. Haha- well now you have to share how many you have (or had prior to unroll.me)!